The Ortega Lizard-BS 4-String Bass Ukulele Dao Wood is a 4-string bass ukulele, featuring a mahogany neck, a rosewood fretboard, Ortega MagusUke Bass electronics, and a dao wood back and sides. This remarkable instrument will catch an audience's attention at first glance, or at least when it is plugged in. 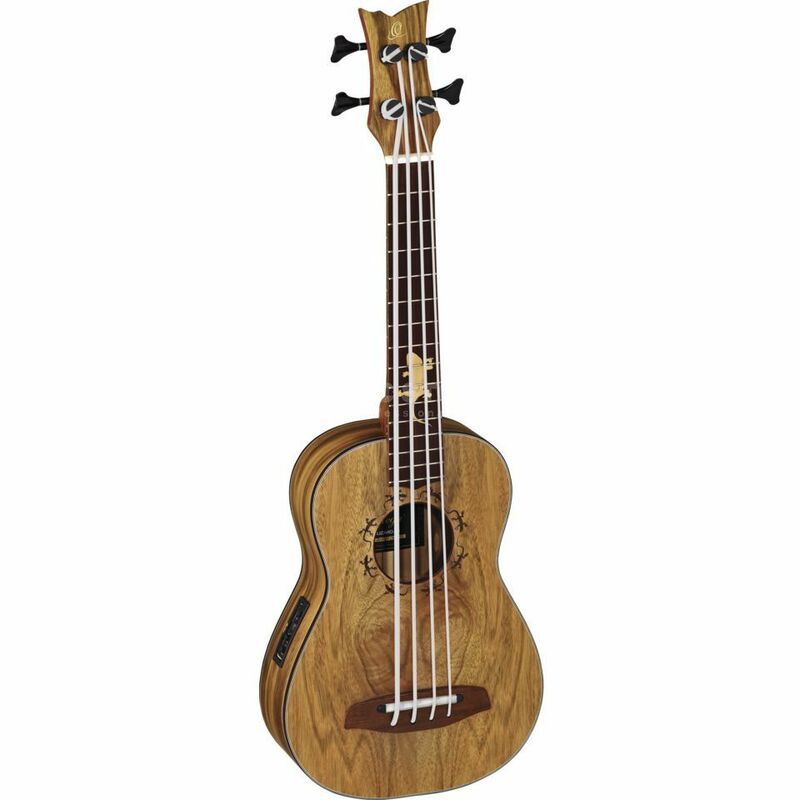 The Lizard-BS features special polyurethane strings that allow this bass ukulele to be tuned in regular E A D G tuning.